The Gazette recently profiled Gerri Trooskin EAS’02 SPP’06, the Penn alum organizing this year’s Philadelphia Science Festival. All those letters after Trooskin’s name aren’t just for decoration, and in the article you learn why her dual degrees in engineering and social policy made her the perfect candidate to organize a science festival in a town like Philly. A few festival-related events have already been popping up in the news. 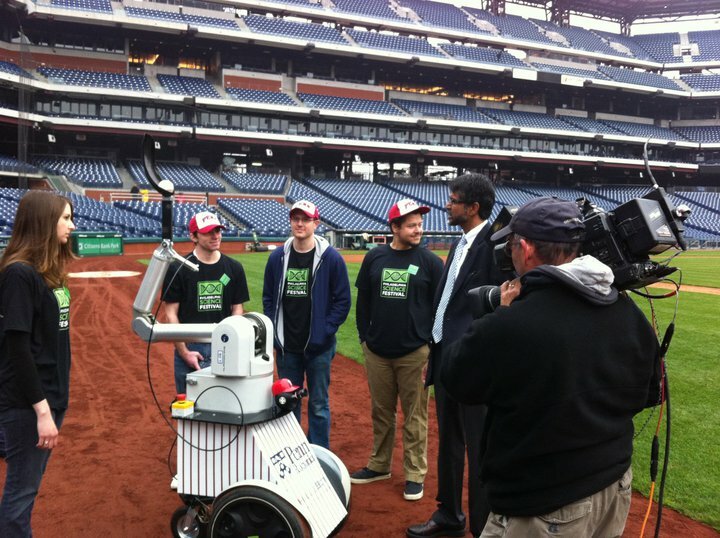 Writing in the sports blog, our own Dave Zeitlin covered the Penn GRASP lab robot that threw the first pitch at the Phillies game this past Wednesday. The video is worth checking out, if only to see the machine one-hop the pitch into the dirt, and become the first robot ever booed by Philly fans. (Thankfully, it wasn’t programmed to have feelings). No worries, though: after Cliff Lee took the mound the Phils went on to beat the Brewers 4-3, and all was right with the world. Cliff Lee doesn’t have anything to worry about. Yet. And how many science festivals can boast an official custom-brewed beer, courtesy of Yards? The picture at right is from the Festival’s “Yard’s introduces its E=MC Beered” event this past Friday night at the Kite and Key. But there’s more to come, and if you like to mix your science with suds you can still catch “From Hops to Stein: The Science of Beer” tomorrow night, where scientists from Monell Center and the brewmasters from Yards will explain the science behind our favorite adult beverage. 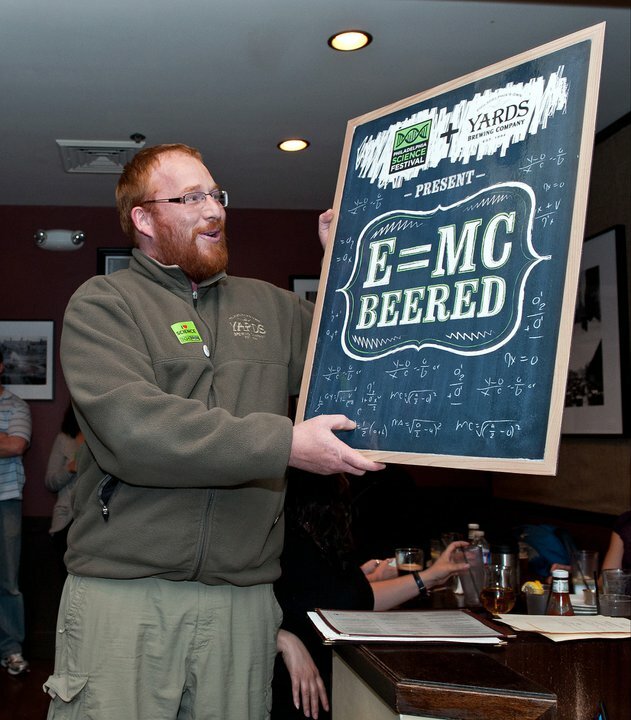 A pint of the official Science Festival Brew, “E=MC Beered,” is included. The festival is much more than baseball and beer, of course. And you can find a complete listing of the many, many events online at the Festival’s website (or download the PSF smartphone app, and carry it around in your pocket). This weekend alone, you can find nano-tech at the Franklin Institute and a Raft Rally down at the Independence Seaport Museum. The festival runs through April 28th.